If you have bad credit, you might be thinking that you can never apply for a loan or get credit. It doesn’t have to be this way. There has been a lot of research done in the UK about the number of people who are ‘underbanked’ meaning they don’t have access to financial products as much as the general population. There are 10 – 14 million Brits who struggle to gain access to mainstream credit products such as credit cards and loans for a wide range of reasons, according to research by PwC. The firm noted that this segment of society is large, underserved and the financial industry has a duty to create products for it. Loans for bad credit and credit cards are just two of the many products that people with bad credit scores can apply for. Whether you have low credit or you don’t have much of a credit history, you can still find financial products that suit your lifestyle. In this guide, you are going to learn everything that you need to know about loans to empower you to make informed decisions about your personal finances. This is one of the most frequently asked questions about this type of loan that we receive at Finance.co.uk. Essentially, loans for bad credit are specialised short term loans that have been tailor-made for people without a credit history or people with bad credit scores. You might fall into these categories if you don’t have a history of borrowing previously or if you have missed a few payments in the past on bills such as making late payments on your gas & electric bills. Loans for people with bad credit can be issued by consumer credit companies that offer these loans in the short term. This means you need to repay them within the time period of 12 months or less. It is critical to understand that you must have monthly income via a salary or self-employment in order to successfully manage your money. APR stands for annual percentage rate. It’s just a more formal way of calculating the amount of interest you pay on top of your loan. For example, if you borrow £1,000 from a lender, and they give an APR of 12% this means that you will pay interest of £120 spread out across a calendar year of 12 months. All loans have APR calculated on them and the percentage rate differs from lender to lender. There is a maximum APR as determined by the Financial Conduct Authority so consumer credit loans do not put people into financial difficulty. How Much Can I Borrow With A Bad Credit Loan? Each amount that you can borrow depends on your personal circumstances. However the rule of thumb is most responsible lenders will offer you between £100 to a maximum of around £5,000. This is in line with what the average Brit borrows. The Money Charity found that the average British consumer has about £3,900 in consumer loans that have been borrowed. The amount that you can borrow depends on how stable your job is and your history with repaying loans and debt repayments on time. One tip that we have is use loans of this type to repair your credit score by applying for small amounts under £1,000. As you repay your loans on time, then you can apply for larger amounts. This also teaches you financial responsibility and it shows you how credit works. The more you repay on time, the bigger pool of loans you can get access to. Are These Types Of Loans Expensive? In the financial services industry, people with bad credit are given higher interest rates (APR) compared to people with better credit scores. Why does this happen? It happens because it is riskier for banks and consumer credit companies to lend to people who earn lower incomes, for example. This doesn’t mean that they will not lend money to you – it just means companies want to mitigate their risk in lending to people who might fail to repay. The more you borrow, the more expensive it is for you to repay. How Can I Apply For A Bad Credit Loan? We have collected a wide selection of loans for bad credit that you can see on this page. We have chosen the best ones that have a variety of maximum loan limits and interest rates. All you do is click the loan that you want with the provider that you wantand apply. Each loan provider has different terms and conditions which you must fulfil in order to be approved. Make sure that you read them before applying and using the loan that you have received. It depends on which provider you have chosen. 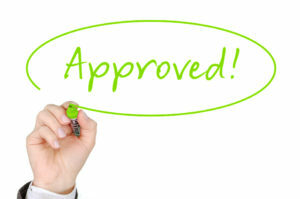 Some loan providers approve loans within 1 hour, 12 hours or just under a day. Others take longer however the industry standard is leading towards loans being approved on the same day. Some companies also will approve the loan with no credit check, which can be beneficial if your have a low credit score, although the interest rates are likely to be higher. As technology becomes more sophisticated, it is easier for companies to decide who can receive a loan on the same day. This is because credit check technology has improved significantly. How Should I Manage The Repayments? Only borrow amounts that you can manage. If you need a loan of £500, you should keep it separate from your general personal finance such as the money you use to repay bills. If you are taking out £500 for a personal reason, create a dedicated budget for this loan in a spreadsheet. This will help you see exactly where every pound of your loan is going. Too often people overspend especially on money they have borrowed and end up feeling worried about how they could have spent cash so fast. If you keep track of your bad credit loan spending in a spreadsheet, you are being accountable for your spending in a way that is healthy and responsible. No – times have changed and you no longer need a guarantor for the majority of consumer credit loans that are on the market. Always read the small print though to be sure. I’m Bad With Money. Can I Still Get A Loan? Finance.co.uk is committed to only showcasing loans from responsible lenders who are dedicated to ensuring that vulnerable people don’t fall into debt problems. If you have suffered with a bad credit score before, we suggest that you contact the Money Advice Service or your local Citizens Advice Bureau to learn all about budgeting and how to manage your personal finances effectively. Once you know how to budget and balance your weekly budget, you can apply for a loan. The most important thing to understand is that bad credit loans need to be repaid with the specific amount that the lender gave you. If a lender tells you to repay £50 on the 30th of the month, you must ensure that you repay this amount on that day to avoid being charged late payment fees. What Happens If I Miss Repayments? We know that sometimes life gets in the way of best practices. Sometimes, you might miss a repayment even though you had no intention to due to unforeseen circumstances such as becoming ill. Instead of missing the repayment, alert your direct lender beforehand to let them know that you are struggling financially. Each lender has their own policy on how to deal late payments. The more transparent you are about missing a payment, the better it is for your credit score. I’m Self-employed. Can I Apply? Bad credit loans are for people who receive a monthly salary or income that is stable. If you are self-employed, you can apply for a loan but your self-employment should be a stable stream of income. You shouldn’t go months without earning any money, for example. If you have your own small business, you should be paying yourself a monthly salary at the minimum of £1,000 in order to afford taking out a loan. Your monthly income should be paid around the same date every month so that you can make your repayments without any hassle. Bad credit loans from responsible lenders are good avenues to improve your credit, however, you can also get loans from credit unions. Credit unions tend to charge lower interest rates compared to consumer credit loans. That said, you need to join credit unions and put your savings with them in order to be eligible for loan products by credit units. Another option that works for people with bad credit is a budgeting loan that comes directly from the government. The amount is around £812 and it is interest free. This might work for you if you need a cash injection into your personal finances. However, you need to be currently receiving income support, pension credit, and other income-based benefits in order to receive it. If you are receiving Universal Credit instead, you can receive a budgeting advance from the government. Applying for a credit card is another popular alternative to bad credit loans. The reason why some people like them is because they allow you to get points and they can be helpful to teach you how to budget as long as you repay your card in full at the end of the month. Credit cards come in all shapes and sizes so make sure you shop around for the ones that suit your lifestyle. Personal financial management is the key to improving your credit score. Pay all of your bills and repayments on time and you will find that your credit score will improve gradually. Avoid getting yourself into trouble such as declaring bankruptcy or having County Court Judgments (CCJ) against you because these can negatively impact your credit score. Why Should I Compare With Finance.co.uk? You should choose loans through us because we have especially curated loans for people that have bad credit. All the loans that you see on this page have been thoroughly checked by us and they are some of the best loans in the UK for people with bad credit. We are here to serve you to help you make informed choices about your personal finances. If you have any other questions about bad credit loans relating to your own personal situation, don’t hesitate to get in touch with us. We have also created a checklist for people who want to take out these type of sub prime loans. Feel free to use our bad credit checklist to help you manage your money effectively.